Blackheads are little bumps appearing on your skin as a result of clogged hair follicles. They are clogged with dirt and hence problematic to deal with. Usually, they appear on the face but can also be found on the neck, back, chest, arms and shoulders. Most medical practitioners consider blackheads as the first level of acne. Not having the right hydration for your body can catalyze the development of blackheads. The affected surface is usually dark or black and hence the name blackheads. In this article, we explore the common causes, natural home remedies and the tools available for blackhead removal on your body. a) Oily skin – if your body produces too much oil. b) Irritation of hair follicles – this is mainly caused by the presence of dead cells on your skin. c) Buildup of Propioni bacterium acnes bacteria on your skin. d) Increased oil production due to hormonal changes especially during menstruation and pregnancy period. e) Taking drugs like lithium, androgen and corticosteroids. Blackhead removal can be done using a number of methods. They include over the counter treatments, prescription medications, manual methods, microdermabrasion, chemical peels and light therapy. Some of these methods are natural and home-based. 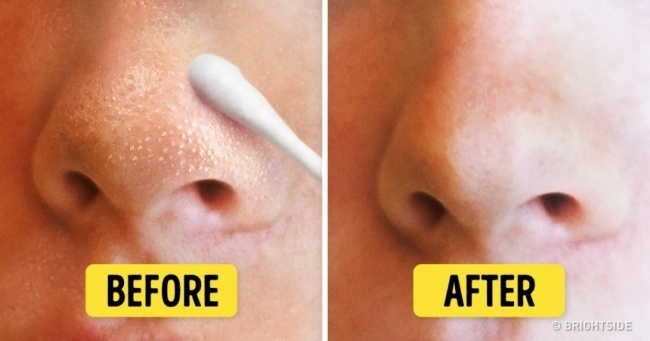 We explore some of the home-based remedies for removing blackheads. Use of honey and cinnamon – being a natural antibiotic, honey will assist in pulling out the dirt from the open pores. Use of egg-white mask – this assists in tightening pores and pulling out any clogged dirt for a smoother skin. Use of oatmeal and yogurt – you can create blackhead blocking formula using the mixture of yogurt and oatmeal. This formula can then be applied on the affected area to assist in blackhead removal. Use of a salt cleansing solution – you can mix Epsom salt with iodine to form a bacteria fighting combo ideal for blackhead removal. Minimizing exfoliation – whereas chemical exfoliants are good for removing excess oil, overusing them can actually cause you more harm than good. You should therefore minimize physical exfoliation to your skin to only once or twice per week. Not picking – it is very tempting to pick a pop-up on your skin but this has damaging effect on your skin. In addition to causing skin trauma, picking up opens raw skin and hence exposing you to infections.You should therefore try not to pick. Extracting – extracting is not as bad as picking as long as it is done correctly. Proper skin preparation is the first step in doing it right while extracting. For instance you can clean your face using a mild cleanser or using steam to open up the pores and soften the hardened oil. You can do extraction immediately after a shower. Use of moisturizer can also help to trap the heat inside which is good for extraction process. Using extraction techniques – you can do extraction using a tool or using your fingers. Employing proper technique during extraction will ensure little or no harm to your skin. Some tools like come done extractor are recommended to avoid darkening your skin and overstimulating melanin cells during extraction. You can still use your fingers but ensure you spread them out so that the extraction is much easier and from the deeper levels of your skin. Avoid using your nails so that you don’t puncture your skin. Letting go – some of the blackheads are stubborn and should be let go to avoid damaging your skin. Your first target should be the dark ones but if any of them doesn’t pop out, move to the next one. You can give up to three trials after which you let go. Moisturizing – not moisturizing enough can lead to imbalance in the oil levels within your skin. Whereas heavy oils like avocado can clog pores, lack of it causes the skin to have more breakouts. Skin moisture will therefore ensure there is a normal flow of oil from the pores of your skin. Avoiding a magnifying mirror – whereas it is a good idea to look into a magnifying mirror, the super close view sometimes can confuse you on what really needs to be removed. It is better to avoid using these mirrors in order to minimize magnifying the problem. Skinmiso Comedo Remover – this is a high quality stainless steel and pore expert brand designed to effectively remove deep and stubborn blackheads. 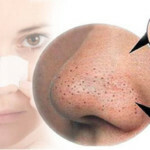 Skinmiso pore beauty nose pack – this is a three step product designed to remove blackheads on the nose. 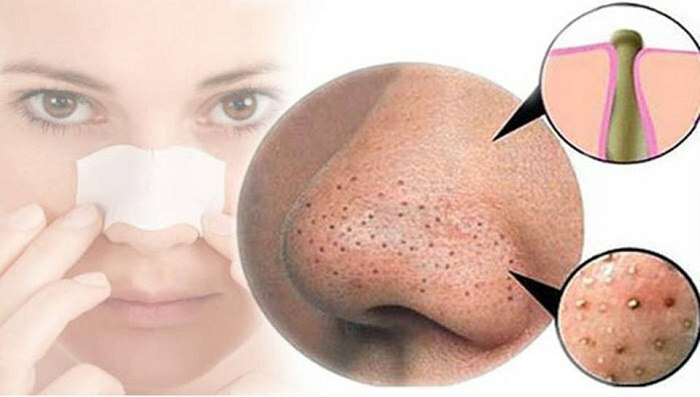 This product can help you to remove excess blackheads without extending your pores.
. Proper approach to blackhead removal is the only way to get quick and effective results. We have also seen that blackheads can actually be removed without necessarily damaging your skin. The magic you need to restore the beauty of your skin can be summarized into three words: Cleanse, Apply and Moisturize.